Property Has Been Rented. 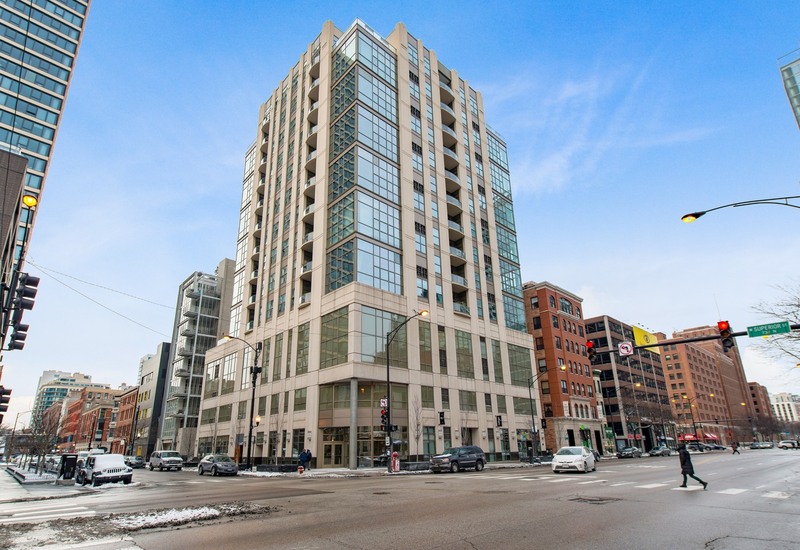 Come and Check Out This Truly Stunning 2 bedroom, 2 Bath Duplex-In-The-Sky In River North. This Residence Features Soaring 15 foot Floor-To-Ceiling Windows W/ Motorized Shades, Hardwood Flooring Throughout, Custom Closets, And Master Suite With Walk In Closet And Spa-Like Marble Master Bathroom W/ Oversized Rainforest Shower. Gorgeous Kitchen Comes Complete With Beautiful Modern Wood Cabinetry, Granite Countertops And Stainless Steel Appliances. Pre-Wired For Surround Sound Throughout. Oversized 1 Car Heated Garage Spot Included. 24 Hour Doorman. If You Have Been Looking For Something Unique, Then This Is The Property You Have Been Waiting For. Property information last modified by seller on Wednesday, September 19, 2018, 02:16 PM CDT. Information Deemed Reliable But Not Guaranteed. Unauthorized duplication, use, or linkage is prohibited. The information on this web site is for personal, non-commercial use and may not be used for any purpose other than to identify prospective properties consumers may be interested in purchasing. Monthly Payment Calculator results are for illustrative purposes only, not a financing opportunity; calculations assume a 30-year fixed-rate mortgage and do not include closing and other costs. Property Tax on NEW properties is estimated at 1.5% of Listing Price for payment calculation purposes; actual value may be higher or lower.